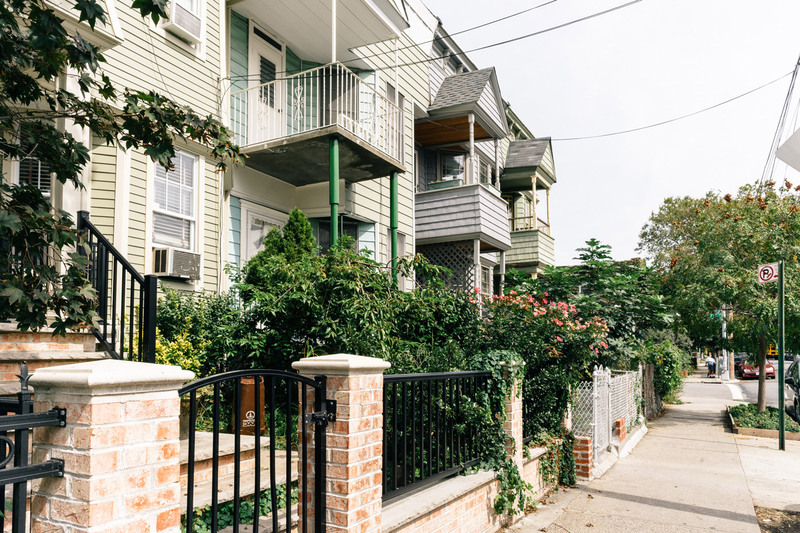 A traditional Brooklyn neighborhood, Kensington is nestled between Borough Park and Ditmas Park. The lush expanses of Prospect Park and tony boutiques of Park Slope are within easy reach from this primarily residential area. 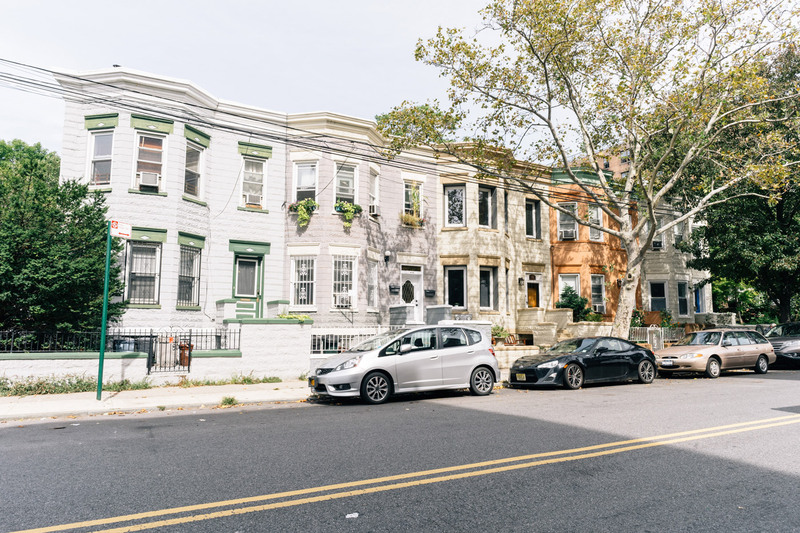 Stately brick row houses appeal to residents from all walks of life, and the central strip of Ocean Parkway is a bustling hive of activity. High-rise apartment buildings and independent shops line this broad boulevard, with landscaped malls, benches and chess tables marking its fringes. Kensington is slowly changing, attracting cafes, bakeries and bars in recent years as new residents move in. The F and G trains serve Kensington’s western edge, and the Q is close at hand. Many Kensington homes rival the coveted Queen Anne mansions in neighboring Ditmas Park. Residences vary in style from brick row houses to detached Victorian homes. These are set on expansive lots, with enviable porches, cellars and garages. 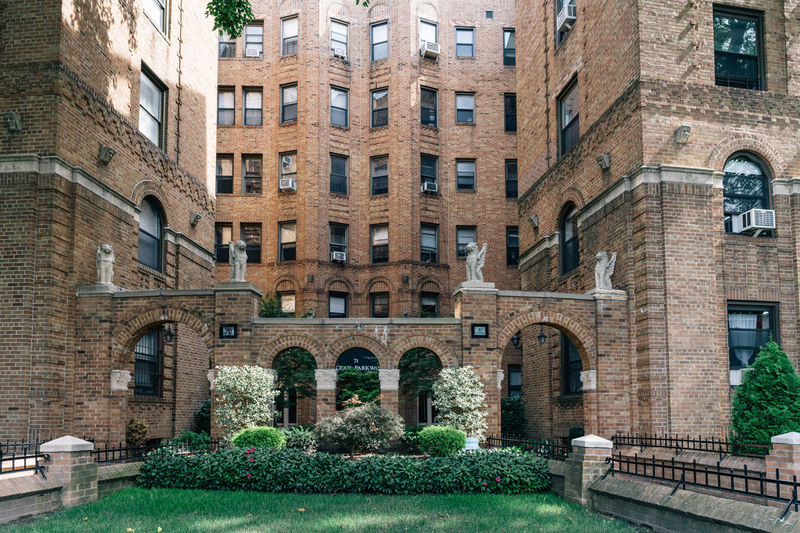 Spacious pre-war brick apartment buildings line Ocean Parkway, with ample parking available in the neighborhood. Renters can find mid-rise buildings constructed in the Art Deco style. Modern Kensington apartments often feature conveniences like backyards, elevators and plenty of storage. Kensington is named after London’s west borough. Many of the neighborhood’s streets also feature English names, which were en vogue in the late 1800s. Initially colonized by Dutch farmers, the land that would become Kensington was originally part of the Town of Flatbush. Ocean Parkway’s completion led to its development in 1885. This major thoroughfare runs for five miles from Prospect Park all the way to Coney Island, and its arrival created a construction boom in the area. Italian and Irish immigrants flocked to Kensington in the 1920s, and many homes remain from this era. Church Avenue offers a tempting spread of family-run bakeries, grocery stores and cafes. The neighborhood’s culinary scene reflects its blend of cultures, and you can find authentic Middle Eastern, Polish, Russian, Mexican and Indian food all within a small area. Bagel shops, pizzerias and diners sit back-to-back with Thai and Chinese restaurants. There’s a row of Mexican eateries on Church between Coney Island Avenue and Ocean Parkway, a highlight of which is the cheerfully decorated La Loba Cantina. Here the menu features Oaxacan street food like pumpkin-filled quesadillas and house-made chorizo, washed down with watermelon Agua Fresca and a long list of Mezcal cocktails. Tacos El Catrin sits just around the corner, windows adorned with Christmas lights and tables laden with fresh guacamole. Those seeking healthy fare in Kensington need look no further than Brooklyn Comfort. The menu is seasonal, local and organic whenever possible. Diners can take a virtual trip around the globe with dishes ranging from Turkish borek pastry to Thai-inspired coconut curries. Specials change regularly, ensuring there’s always something new to sample. Positioned neatly between the green expanses of Prospect Park and Greenwood Cemetery, Kensington Stables offers carriage rides. The barn on Caton Avenue dates back to 1930, an extension of the original Ocean Parkway riding academy. Riding lessons, pony parties and guided trail rides allow you to see Brooklyn from the horseback perspective of its early settlers. Trail rides follow a 3.5-mile bridle path through the scenic terrain of Prospect Park, on Kensington’s doorstep. In addition to a wealth of books in circulation, the Kensington Library boasts a lengthy history. Founded in 1908 as a deposit station, it changed locations several times before settling into its new, eco-friendly facilities. The building features a central atrium, skylight and south-facing garden wall to make the most of natural lighting. During daylight hours, Kensington Library visitors enjoy its warm glow. Though its side streets are leafy and residential, Kensington’s main avenues offer a whirlwind of retail activity. McDonald, Coney Island and Church Avenues are a few of the busiest, lined with pharmacies like Walgreen’s and specialty shops such as Paints by George. Electronics and camera shops, grocery stores and discount fashions dot the neighborhood. The Windsor Terrace Food Coop is a community-run grocery store with an emphasis on locally sourced and minimally processed foods, with members taking turns to run the shop. Bulk nuts and seeds, fresh produce and organic meat and cheese is all in abundance here. For international groceries, Golden Farm is a local favorite. Best of all, it’s open 24 hours for those late-night goulash cravings. Nightlife in Kensington is a low-key affair. Bars on Church Street and Fort Hamilton Parkway cater to a local crowd. Hamilton’s Tavern is a cozy gathering place, decorated with earthy tones and warm wooden paneling. There’s an outdoor seating area and a carefully selected range of rotating craft beers on tap. Don’t miss Happy Hour here, with its wallet-friendly drinks specials and high-end bar bites like steamed mussels and organic deviled eggs. Shenanigan’s is a local institution, beloved by regulars for its old-fashioned karaoke sessions, no-nonsense drinks list and back patio. Kensington Library is a hub of activity for the community, hosting regular events for all ages. This includes a full calendar of educational courses and workshops. Classes here include knitting, crocheting, creative writing and an introduction to American Sign Language, among others. In the evenings, many of Kensington’s pubs and bars provide karaoke nights and live music. Church Bar is one example, with live performances on weekends to complement the tasty olives and wine.